Being Accused of Domestic Violence is Traumatic. 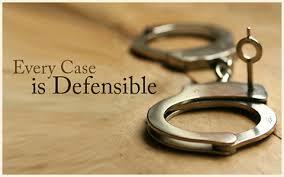 We will Help you Through this Difficult Time and Find a Way to Resolve your Case in an Exceptional Way. The Michigan Domestic Assault Defense lawyers with LEWIS & DICKSTEIN, P.L.L.C. are dedicated to the passionate, tenacious and compassionate representation of those charged with domestic violence, and other related charges, in the various courts throughout Michigan. We have decades of experience successfully defending against domestic violence allegations in Michigan Circuit and District Courts and we are adept at handling all aspects of domestic violence cases. We know that the consequences to clients and their families due to domestic violence allegations (even false allegations) can be life changing in a tragic way. We stop at nothing in order to protect our clients from being over prosecuted, falsely prosecuted or from being taken advantage by a Michigan prosecutor or a judge who does not care enough to adequately consider our client’s personal situation. 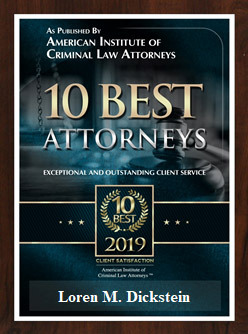 If you are accused of domestic assault or charged with a domestic violence related offense, please do not hesitate to call one of the experienced, zealous and fearless Michigan domestic violence attorneys with LEWIS & DICKSTEIN, P.L.L.C. at (248) 263-6800 or complete a Request for Assistance Form and we will promptly contact you. We will find a way to help you! Some people say that domestic violence is a crime without witnesses. Often times the only witnesses to an alleged offense are the people involved. Sometimes minor children are witnesses and often times children are manipulated into taking sides between parents. Since domestic violence most often takes place without the presence of witnesses, it is a charge that is easily and frequently abused. False reporting of domestic abuse in epidemic in Michigan. False reporting and false accusations of domestic violence regularly occur when there is a contentious divorce and one spouse is seeking to gain an unfair advantage over the other relative to assets, the marital home or child custody. If a false report is made, even if the complainant doesn’t follow through or admits the allegations were untrue, prosecutors are relentless and refuse to acknowledge the possibility of a fabricated allegation. Family law judges often take away a parent’s right to visit with or see his or her children based upon a mere, uncorroborated allegation of spousal abuse. This is unfair and LEWIS & DICKSTEIN, P.L.L.C. will not stand for it! Jail or Prison Time – You can be sentenced to do jail or prison time. Serious domestic violence offenses can lead to sentences of several years in prison, and even allegations that don’t involve actual violence can lead you to jail. Probation and Community Service – You will be sentenced to probation and community service that can last two years in the case of a misdemeanor or up to five years in the case of a felony. During this time you will have to report to a Probation Officer and prove your compliance will the conditions of your sentence. Costly, Time Consuming and Sometimes Unnecessary Psychological Treatment – You can be ordered to participate in one or more forms of psychological treatment. The Court may order you to participate in domestic violence batterers counseling, which is a minimum of 26 or 42 sessions over the course of a year. If the Court believes you have a substance abuse problem you may also be ordered to participate in drug/alcohol treatment. If the court believes you have an anger management problem, you may be required to do additional psychological counseling. Each of these respective types of therapy are costly, time consuming and may not be appropriate for you. Loss of Civil Liberties – You will lose your right to possess a firearm for life under federal law. This means that if you are found near a gun in the future you could be charged with a felony offense. This can also prevent enlistment in the armed forces, or employment as a police officer or security officer where your use of a gun is required. Employment Consequences – You may lose your job or have trouble getting some jobs. A domestic violence conviction will need to be disclosed on all job applications and will be part of your background check for all employment. Professional or Business License Consequences – You may lose your professional or business license. A domestic violence conviction can lead to a loss of license for many professions including doctors, nurses, health care workers, day care operators, lawyers and many others. You may also lose your business license if you work in certain fields where State licensing and bonding are required. Immigration Consequences – You may be deported or denied naturalization if you have a domestic violence conviction. Many domestic violence attorneys or criminal defense attorneys do not realize that a domestic violence plea under advisement that does not result in a criminal conviction still constitutes a conviction under immigration law. Exclusive Use of Home – A court may order that the complaint have exclusive use of a marital or joint home even if it is jointly owned or solely owned by the defendant charged with domestic violence. Custody and Financial Consequences – Most divorce judges will consider domestic violence allegations, accusations and convictions when determining child custody, visitation and assets division in a divorce case. Sometimes the mere allegations of domestic violence can result in suspension of parenting time or supervised parenting time. Reputation and Character – Unfortunately, many people don’t believe in the concept of “innocent until proven guilty” and just assume a person is guilty of domestic violence when an accusation is made. These cases can be costly in terms of friends, community support and social status. If you are looking for a domestic violence expert attorney who will really care about you and be passionate about your domestic violence defense, the Defense Team with LEWIS & DICKSTEIN, P.L.L.C., will be there for you. 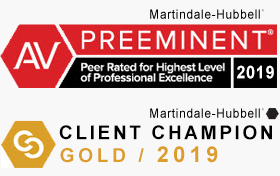 If you call us at (248) 263-6800, we will patiently talk to you about your case, thoughtfully help you determine your options, and passionately find a plan to best help you. If you complete a Request for Assistance Form, a seriously experienced Domestic Violence Attorney will promptly contact you. We will not let you down!